Are you interested in a way to get your company or group more involved with the community? Look no further! United Way of Washtenaw County provides several group volunteer opportunities throughout the year. Keep scrolling to see what volunteer opportunities we have coming up and what else we offer throughout the year. Please visit VolunteerWashtenaw.org to see many other volunteer opportunities throughout Washtenaw County. We also coordinate volunteer days for our corporate partners. If you are interested in having UWWC coordinate a volunteer day for your company, please fill out the form below and we'll follow-up with you shortly! VITA is a nationwide program sponsored by the IRS that is available during tax season. Volunteers provide basic tax preparation assistance to individuals and families with a household income of approximately $53,000 a year or less. No experience is necessary and you certainly don't need to be a tax expert (or even a math expert!) to make a huge impact on lives of those in need. Training and guidance is provided by the IRS and our experienced volunteers, and you'll walk away with more knowledge about how to do your own taxes. Plus, you'll be working with families that need the help. Trainings are held each January, so stay tuned for more information at the end of 2017! Held annually in May, the Community Baby Shower helps to collect needed items for financially strapped and struggling new parents. This is a perfect chance for your office or group to hold a drive to help the community! United Way Day of Action is an invitation for people and organizations around the world to LIVE UNITED and take action to address a variety of challenges. It is a day that we ask you to help us put our mission into action by improving the building blocks for a good quality of life. Hundreds of people throughout Washtenaw County will be serving at a variety of different agencies each June on the longest day of the year. Each holiday season, United Way compiles a Holiday Giving & Volunteering Guide of all the different ways to volunteer and give back during the holiday season. The Guide is your one stop shop to learn how you can give back to your community each holiday season. 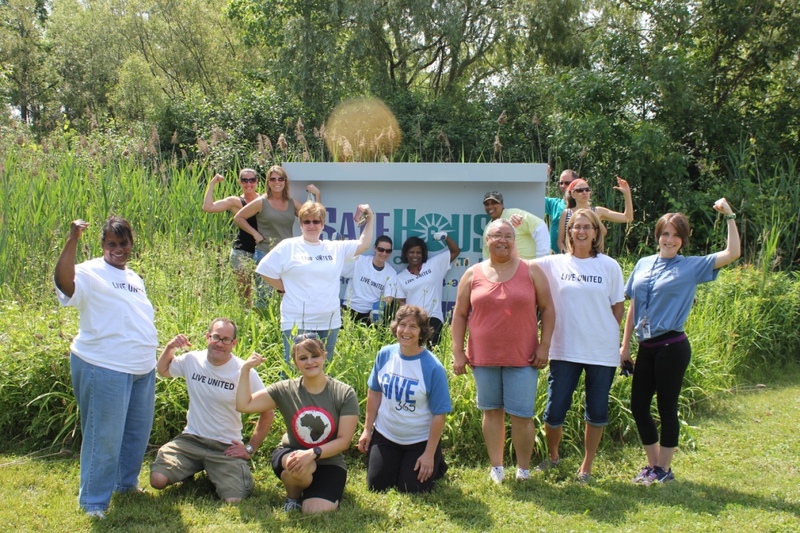 United Way of Washtenaw County requires a one month lead time to help connect groups with volunteer opportunities. Our nonprofit partners need ample time to plan and prepare for volunteer groups. What would your group like to do? Does your company have an area of focus (such as early childhood, education, health)? Is there anything you would prefer not to do?